Ground Floor Studio Unit, microwave, tea/coffee and toast making facilities. Car parking directly outside unit. Ground Floor Studio Unit, equipped with microwave, tea/coffee and toast making facilities. 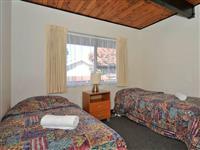 2nd Floor large spacious studio unit with views of the lake and mountains from the balcony. This unit is equipped with microwave and tea/coffee and toast making facilities. 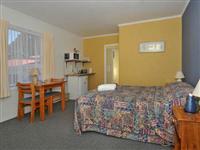 Ground Floor 1 Bedroom Unit comes equipped with microwave and tea/coffee and toast making facilities. 1 queen and 1 single bed in the bedroom, 1 single bed in the living area. Ground Floor 2 Bedroom Unit with private grassed courtyard. Full kitchen facilities including an oven. 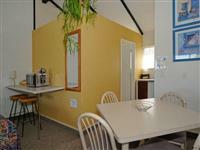 2nd Floor 2 Bedroom Unit with lake and mountain views from the dining table. Full kitchen facilities. 1st bedroom 1 double and 1 single bed, 2nd bedroom 2 single beds. 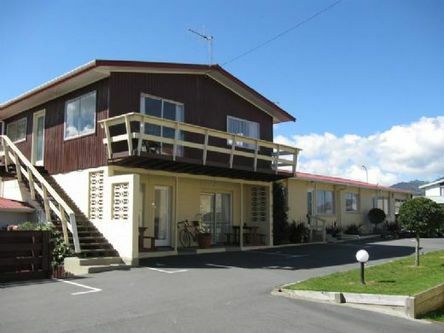 A Spacious 2 storey, 2 bedroom unit with balcony, perfect or groups or large families. The bedrooms (1 queen bedroom and 1 twin bedroom) and shower room are downstairs. 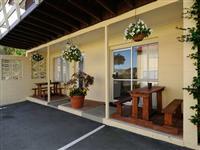 Upstairs kitchen/dining/lounge area with 1 single bed opens out onto balcony with views of lake and mountains. The kitchen has a benchtop cooker, microwave and fridge/freezer and plenty crockery/cutlery. Car parking space directly outside the unit.